It's great when you have kids and you can start your own family traditions. We like going apple picking in the autumn, but unfortunately missed our opportunity this year, due to the freak snowstorm thwarting our plans. 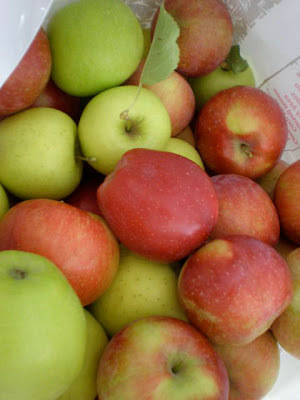 Nevertheless, there are still plenty of apples available in the markets. Starting with the very basic, here are two simple recipes. 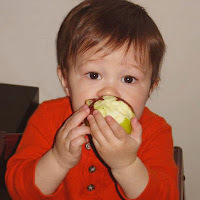 Applesauce is usually the first "real" baby food puree. If you can achieve this, you can pretty much do the same with all fruits and vegetables. My kids never had any jarred baby foods. Although it may seem like lots of work, fruit and vegetables were always on-hand for adult consumption, so it wasn't so bad. I made batches of each puree and stored in the freezer in ice cube trays for future use. In fact, I had wanted to start a baby food line, but that's another story altogether.... I still use applesauce as an egg replacement when baking vegan goodies. and loving their fruit and vegetables. Place in small saucepan fitted with a steamer basket and a half-inch of water. Add the apples and cover with a tight fitting lid. Using a hand-held blender and cup, puree the apple with some of the steaming liquid per apple to desired consistency. If you want a chunkier applesauce, just use a fork to mash it up. 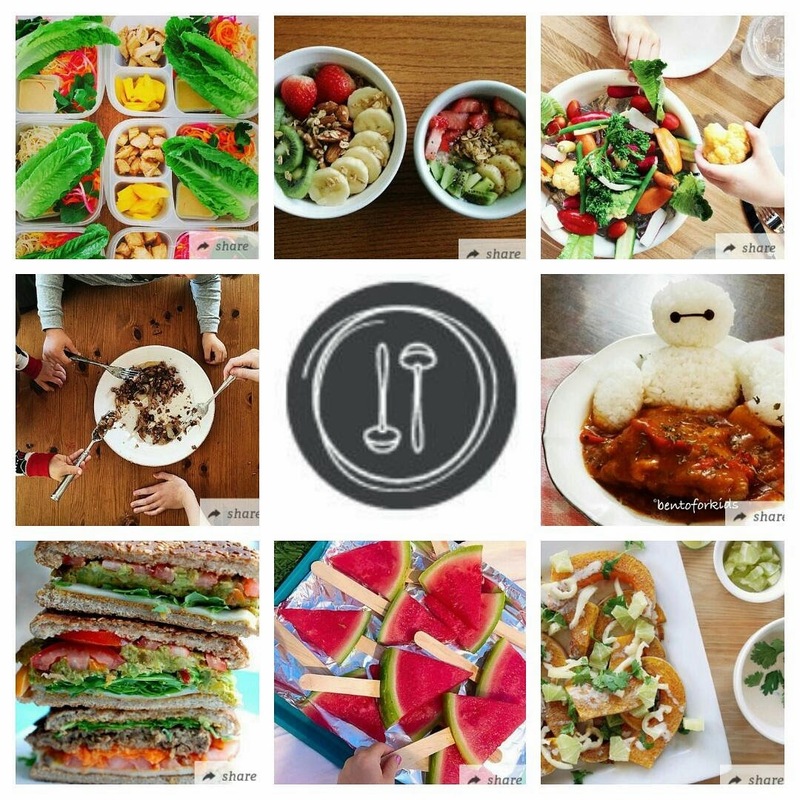 I used Annabel Karmel's "Complete Baby and Toddler Meal Planner" book for both of my kids. Here is a link for her online intro to baby food. 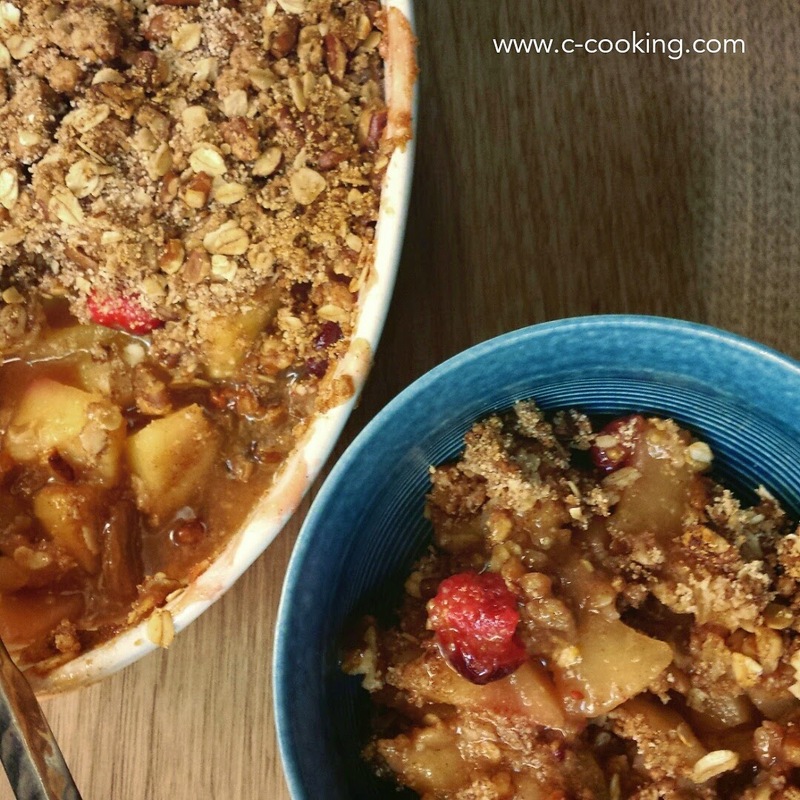 Apple crumble, or crisp, is a simple dessert which can be made with a little prep-work in advance, and then you assemble and pop it into the oven when you sit down to eat, so that you can have a steaming hot dessert to look forward to. Generously grease a small deep baking dish with the coconut manna. Melt another Tbsp of the manna in a frying pan. Over a high heat, cook the diced apple for 2 minutes until slightly softened. Toss the apples with the cranberries, juice, syrup, and the flour, distributing everything evenly. Cook for a further 3-4 minutes. Transfer to the prepared baking dish. When ready to bake, spread the crumble topping in an even layer on top of the filling. Bake for 25-35 minutes until the top is golden and crisp.